Shipping costs can easily get away from managers, but help is on the way. Have you ever shipped a package across town and accidentally paid for overnight air to get it there? Or negotiated a contract with a shipping company only to have the contract ignored or forgotten about a week later? Or paid to have something arrive by 10:00am only to find out that it didn’t arrive until 3:00pm? These situations may sound trivial at first, but for companies that spend millions in small parcel shipping every year, they are anything but. 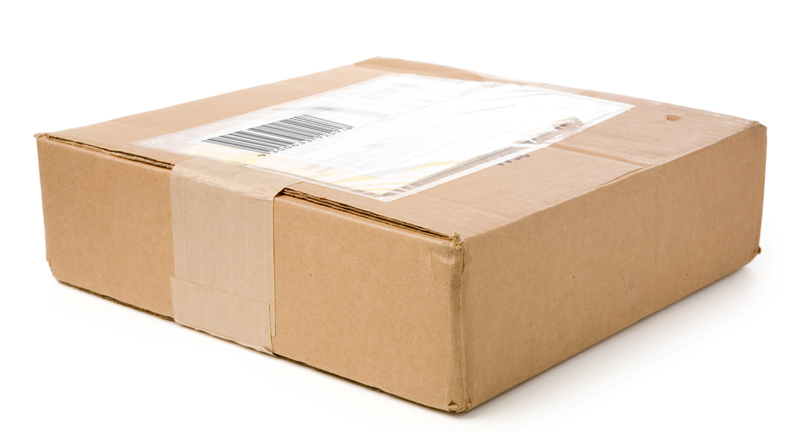 Unenforced shipping policies, noncompliance, and uncollected refunds for service that wasn’t delivered as promised create a delivery event all their own — that is, sending a lot of undeserved money directly into shippers’ coffers. And these aren’t the only ways to lose money on shipping. Most companies enter contract negotiations with less than half the information they need to secure the best deal. So you can add information asymmetry to the list of challenges that procurement professionals must overcome. To combat this, companies are constantly seeking new ways to gain deeper insight into their small package spend and new visibility into suppliers’ data. The good news is that there are now new classes of solutions, powered by machine intelligence and advanced analytics, that can help them become even more effective. These solutions go beyond the existing BI tools that help people do analyses better and faster. They actually do the critical analyses for you, acting as an integral, always-on entity that is constantly looking through spend data to find the issues and anomalies that provide opportunities for savings. The machine is trained to integrate and examine data flows from internal systems and — of critical importance — from suppliers. This latter information provides the detailed item- or transaction-level information that internal capture systems typically don’t have and yet is critical in finding savings. Keep employees and vendors aligned with contracts and policy. Policing employees is not only unpleasant, it’s often impossible. With thousands of employees and hundreds of contracts and vendors, keeping employees’ shipping events is a 24/7 job that would require hundreds of person hours to maintain. But with advanced analytics solutions, the “machine” stays on top of all of this, alerting you to the costliest issues first. Advanced analytics solutions can identify and alert managers to a company’s most expensive shipping patterns, allowing managers to tailor policy appropriately to cut out wasteful spending. For example, the solution identified a situation for a wholesaler where two-thirds of its overnight shipments were being made to intercompany facilities. Once they saw this behavior, they discovered that branch managers weren’t accountable for these costs and subsequently changed the accounting structure for shipments to encourage cost-conscious behavior. Gain visibility into suppliers’ data, so you have more information going into negotiations. The beauty of Big Data is that it incorporates data from multiple sources — in this case, directly from your suppliers. Today’s small package carriers have highly evolved databases that create information asymmetry in their favor. Companies need a way to level the playing field by gaining a deeper understanding of their service levels, location patterns, package characteristics, and surcharge usage. Advanced analytics can bring all of this information to the forefront by providing real-time access to spend and volume statistics by service and weight, evening out the asymmetry and making negotiations more fruitful. See enormous amount of information across your entire organization. Large enterprises typically have several offices, often spanning the globe. With thousands of packages being shipped each month via several different services, just being able to see what’s happening can be a real challenge. Advanced analytics solutions can use their built-in logic, rules, and schema to cleanse this data, eliminating duplicate entries, filling in missing data, and separating accessorial charges. Then they can normalize this disparate data to show service, charge type, To and From addresses, and so on. The result? Every transaction in every country and every field of information is gathered, cleansed, normalized, and analyzed every day. It’s a critical task that most companies are simply not capable of doing with their existing tools. Constantly monitor rates and compliance. The key here is that advanced analytics solutions find more savings opportunities than spend management solutions, business intelligence solutions, or even an army of procurement managers. All of those approaches work to some degree, but advanced analytics goes deeper and broader and does the analysis itself. And when these analytics solutions also incorporate machine learning, they get more productive over time. Opera Solutions’ Signalytics™: Small Parcel is an advanced analytics solution designed specifically for small package spend. Not only does it do everything mentioned here, it also prioritizes each opportunity by size and delivers its findings as specific recommendations for addressing it, making sure the biggest opportunities are listed first, so managers get the biggest return on their time. It finds all the larger things that you would expect, such as trends and global company-wide issues, but it also finds those needle-in-the-haystack events that can save your company millions. It can tell you exactly who shipped what, when, and how, so you can act immediately. Signalytics offers more than just Small Parcel. It’s an entire suite of category spend solutions for a wide range of critical categories. We also offer Signalytics: Enterprise, which offers broad visibility into your company’s spend in a way that most organizations don’t currently have. Nathan MacCarter is Director, Supply Chain at Opera Solutions. He holds a bachelor’s degree in systems engineering from the United States Military Academy and an MBA from The Ohio State University.